We kept the name and the icon, but have rebuilt almost everything else based on suggestions we received from you, the users. iCell 3.0 includes all new 3D models of cellular organelles that are more accurate and realistic than those previously released on the iPhone/iPad. 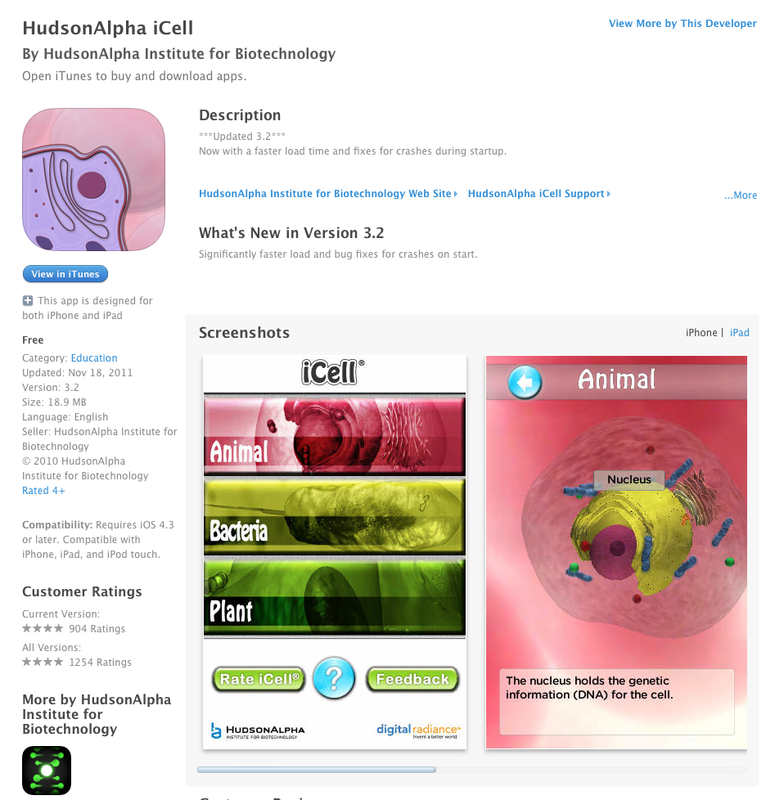 We have included additional organelles previously not found in the iPhone/iPad app. The iPad version also supports the ability to choose among three levels of detail in the descriptions of the cellular structures. 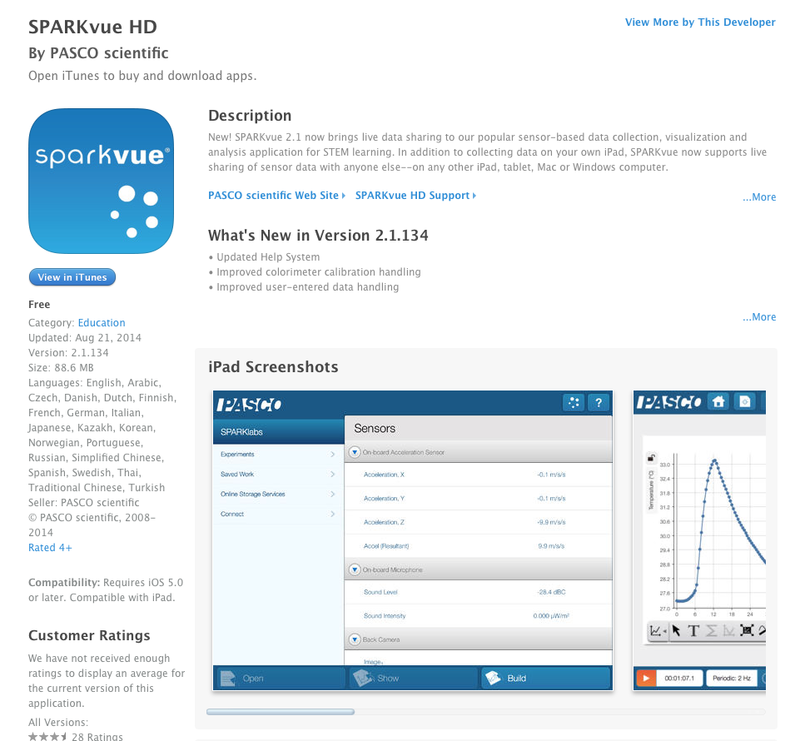 Finally, we have redesigned the user interface with new menus and quicker load times between cell types. As always, iCell allows users a 3D view inside of a typical plant, animal and bacterial cell. Easily navigable and simple to use, iCell gives users an intuitive tool to compare animal, plant and bacterial cell structure. You can use your finger to tap on parts of the cell to select and zoom in on that particular organelle. Each organelle comes with a name and a short description of its function in the cell. For a better view of each cell, hold down one finger on the screen, and drag to rotate around the cell or selected organelle. You can zoom in and out by pinching or flaring with two fingers at once. 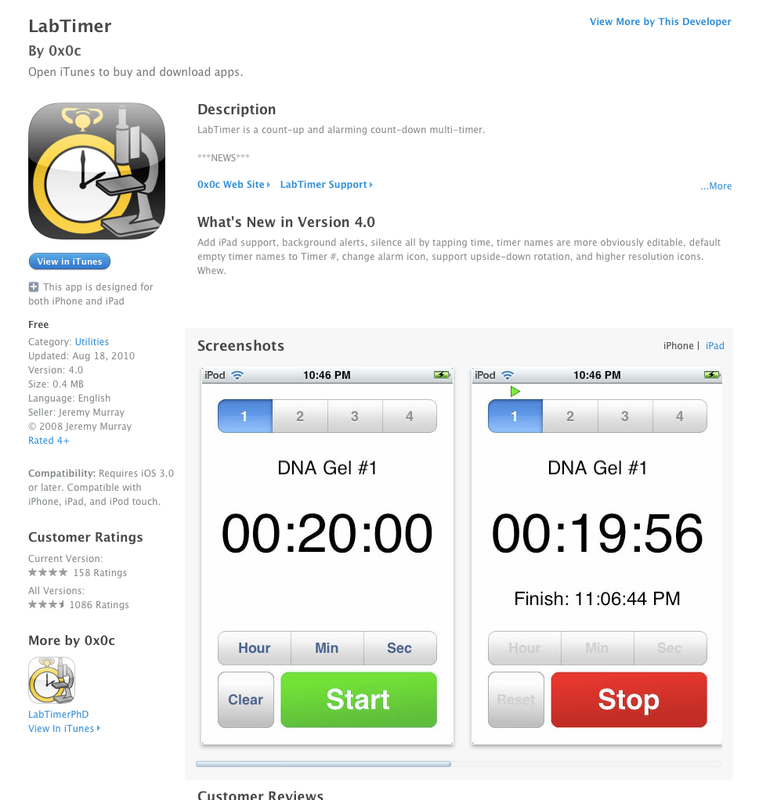 The look and feel of LabTimer is designed to emulate that of standard lab timers, providing quick access to count-down timers and repeat runs. LabTimer is not just good for the lab, though – it is also convenient for cooking, medication timing, working out, and child timeouts. 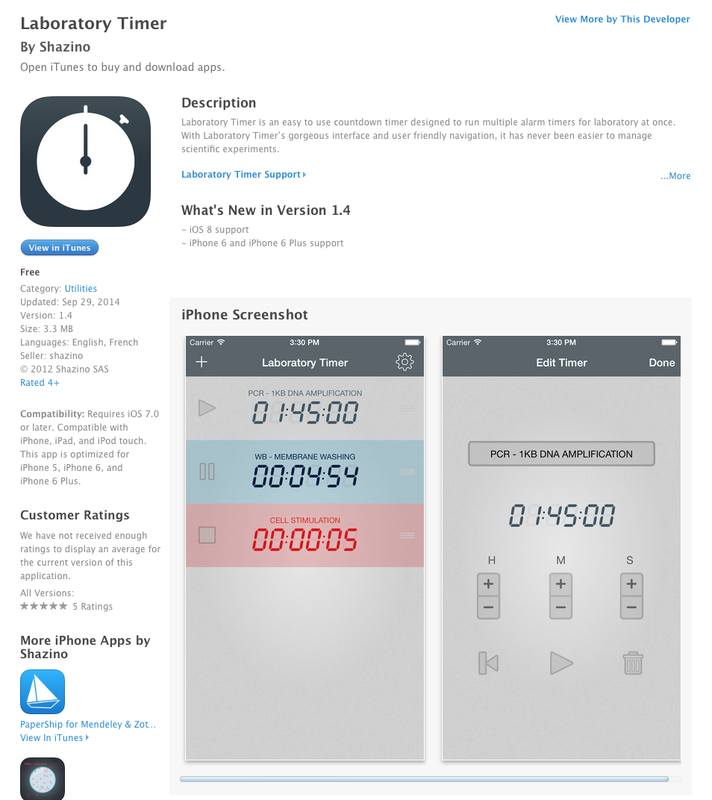 Laboratory Timer is an easy to use countdown timer designed to run multiple alarm timers for laboratory at once. 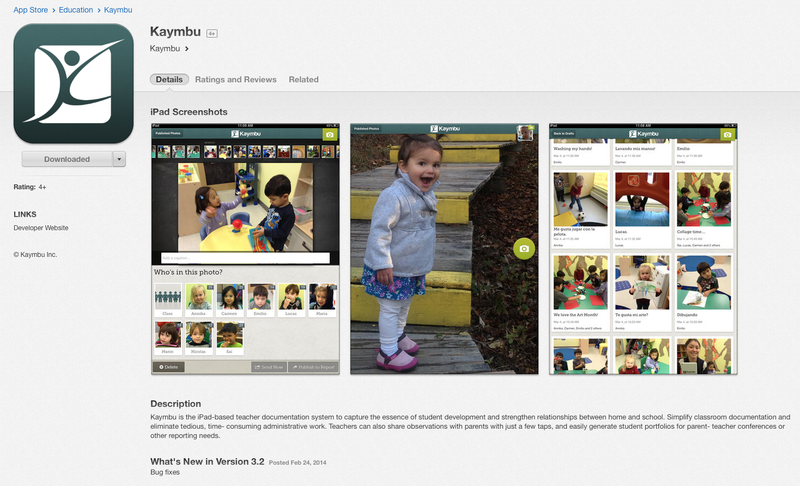 Kaymbu is the iPad-based teacher documentation system to capture the essence of student development and strengthen relationships between home and school. Simplify classroom documentation and eliminate tedious, time- consuming administrative work. Teachers can also share observations with parents with just a few taps, and easily generate student portfolios for parent- teacher conferences or other reporting needs.